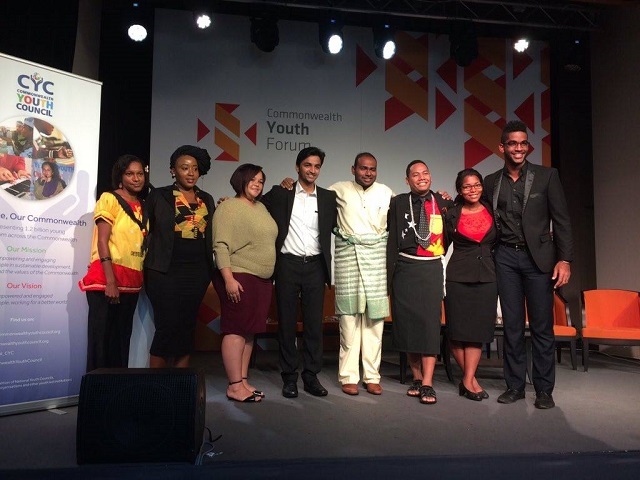 (Seychelles News Agency) - A young Seychellois woman made the Western Indian Ocean Island nation proud twice inside two weeks when first she was elected Vice-Chairperson of the Commonwealth Youth Council last month and then on Tuesday became the first Seychellois to win the Queen’s Young Leader’s Award. 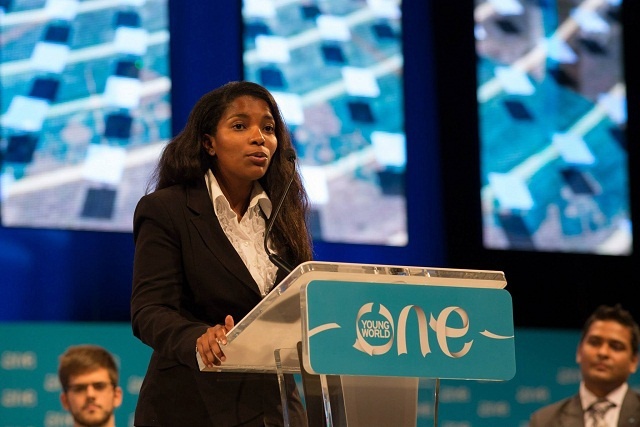 Angelique Pouponneau is a lawyer by profession and the co-founder of the Small Island Developing States (SIDS) Sustainable Youth Aims Hub - (SYAH), an association of young people promoting sustainable development. SNA caught up with 25-year-old Angelique on Thursday to hear her feelings and forecasts after such a heady two weeks. Seychelles News Agency: Congratulations on your recent successes. You have been elected vice-chairperson of the Commonwealth Youth Council, which is the official representative voice of more than 1.2 billion people from 53 commonwealth countries. What does this achievement mean for you? Angelique Pouponneau : I think it's a big achievement, more for Seychelles than for me, personally. Of course I was prepared to go out there and serve the young people in the Commonwealth but I think it’s a great step to have a representative from a country like the Seychelles. … What that means is that we are in a very interesting position because we are a small island. We also have a very young population, we are part of Africa, so literally we are able to be the voice of different causes all in one. SNA: So for you it’s more for the country than for yourself? AP: It is more for the country than for myself. Initially I actually didn't apply and the deadline had passed but as I was encouraged that I should really give it a try, and I have and I think it's really an achievement for the country. SNA: What was your campaign platform that got you elected? AP: I was standing for three main things. First of all it was youth participation, education and sustainable development. My manifesto itself describes the process that I would like implemented in all Commonwealth countries where all young people will be educated about certain points and we would use the sustainable development as guidelines. … They will be empowered advocates, that would be the objective, and then you will have them participate in decision making and policy making where you will have commissions. For example if the country wanted to know about sexual reproductive health, you will have a youth commission. Decisions will not only be made by decision makers and policy makers. They are lot of the times people who are no longer young and these policies don't affect them directly. SNA: A big task. You'll have to speak for all the 53 Commonwealth countries. PA: Yes. One of my main responsibilities is to be the liaison person for the 53 countries. Not only that. Of course within every country the youth sector is so different. … You have young people that form part of different group, for example indigenous groups, young people with disabilities. They all have to liaise with me. SNA: It is only a two-year mandate. AP: I always like to think a two-year mandate for young people is very good. Because we are dynamic, we have a lot of energy, we do everything now-now-now. We don't have to wait for later or feel that there is time to wait so we get things done. One of my campaign undertaking is that I would establish and strengthen youth councils around the world. A lot of countries doesn't have one. India, for example. Seychelles has one but this is my personal opinion but I believe the legislation of the National Youth Council needs to be reviewed. SNA: You also recently won the Queen's young leader award. What’s your view on how unique it is being the first Seychellois to win this award? AP: I was really, really happy to be able to secure the award this year. And, yes, I am the first Seychellois to have secured the award but also it recognizes to a great extent the work of Small Island Developing States (SIDS) Sustainable Youth Aims Hub – Seychelles (SYAH), and that think that's important. Because much of the information that I had placed in the application was not Angelique was doing this this. 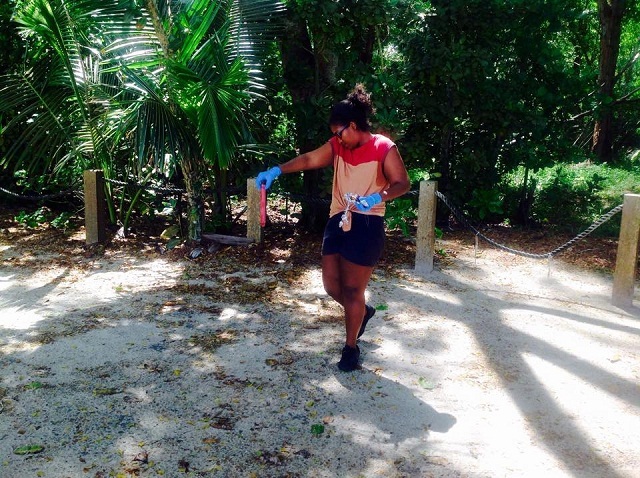 It was more of Angelique co-founded SYAH-Seychelles and within a year could achieve this. SNA: How will the opportunities of the award assist you to these cause? AP: The award comes with mentoring, so it will help me as a leader. That said, I don't think people in leadership position are only meant to lead. I think they should inspire to lead as well, and I would like more training and more guidance on how to achieve leadership within young people. SNA: You are a young woman committed to her country and the community. Who or what do you credit with this? AP: I’d give complete credit to my parents. My parents taught me at a very young age that nothing comes easy. And it all boils down to hard work. I complain sometimes, like every Seychellois, but after I have complained I have to do something about it. I feel I lose the right if I don't do something. My parents always thought me A) You don't complain, you take initiative and you fix whatever you feel is wrong. B) It's not going to be easy, but you must strive and you must work hard to get what you leant to achieve. And C) This I learnt a little later in life but you can make a lot of difference without a lot of money. AP: Lawyer, daddy's girl, likes to laugh, passionate about sustainable development and education, will constantly promote youth interest. Somebody who wants to get things done. AP: Definitely. I am an only child so I am very close to my father. I do get a little jealous if he shows affection to other children even at the age of 25. My dad is the commanding officer of the airforce. I have had a military upbringing, so punctuality has always been drilled into my head, discipline. I follow a routine every day. But now that's part and parcel of me, it's not something that I think about. It's just a culture I've been brought up in. SNA: And when you are not doing your lawyer work or community work. How do you relax? AP: I listen to music, I read but I never completely relax unless I travel for a holiday abroad. SNA: Where do you see yourself in 10 years? AP: In 10 years’ time I’ll be 35, I really don't know. I generally operate on two-year plans. Being a lawyer, being a youth activist, I don't know. I could be anywhere. Editor’s note: Parts of this interview have been condensed for space considerations.